Slam Dunk get nostalgic with latest line-up additions! 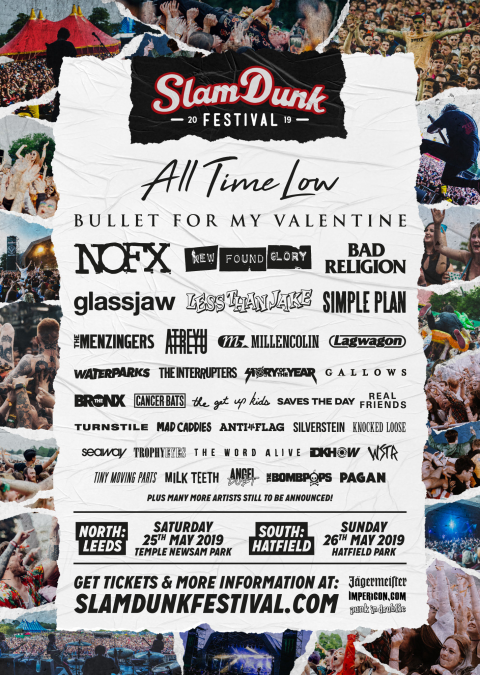 Slam Dunk are pulling out all the stops to make 2019 their best year ever! We’re getting a taste of nostalgia at Slam Dunk Festival this year as heading up the latest batch of artists announced are Plain White Ts and Hellogoodbye! Both acts have developed a huge fanbase around the world over the past decade and both are back with new albums! Touche Amore are going to be bringing their riotous performance to the Slam Dunk arena while Canadian sweetheart Lights will be bringing her dazzling vocals! Tigers Jaw and Microwave add to the American contingent flying over for this year’s festival, while Employed To Serve and Our Hollow Our Home represent the outstanding UK heavy section! The stage will run in the intervals of the Impericon Stage so you won’t have to worry about missing any of your favourite heavy acts!